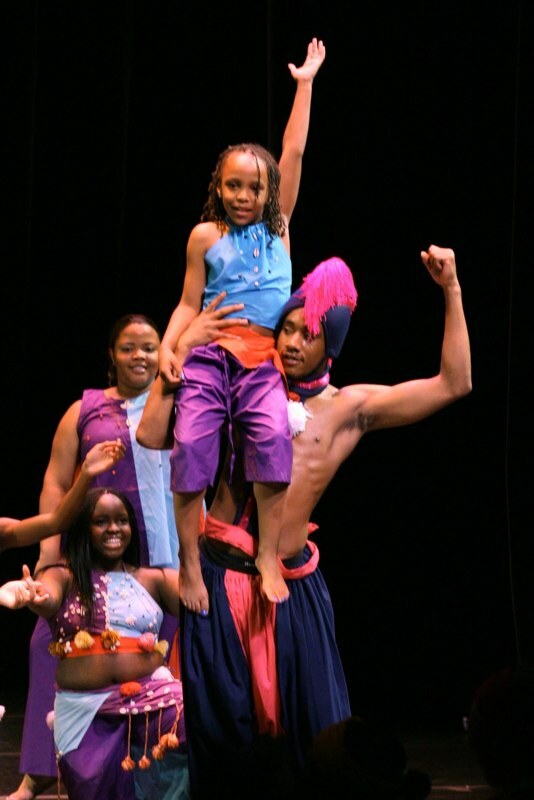 DELAWARE, OH –Ohio Wesleyan University’s 2010-2011 Performing Art Series continues Jan. 15 with a performance by the Thiossane West African Dance Institute at 8 p.m. in Chappelear Drama Center. Thiossane (pronounced cha- sahn) was founded in 2000 to share West African culture with communities locally, nationally, and internationally through the group’s authentic dance and music. The Ohio Wesleyan performance will include “master drummer” and music director Abdou Kounta and dancer and creative director Suzan Bradford-Kounta, in addition to other members of Thiossane. Kounta is a renowned musician of traditional West African music who has performed with The Phoenix Symphony Orchestra and the Winston-Salem Symphony Orchestra. 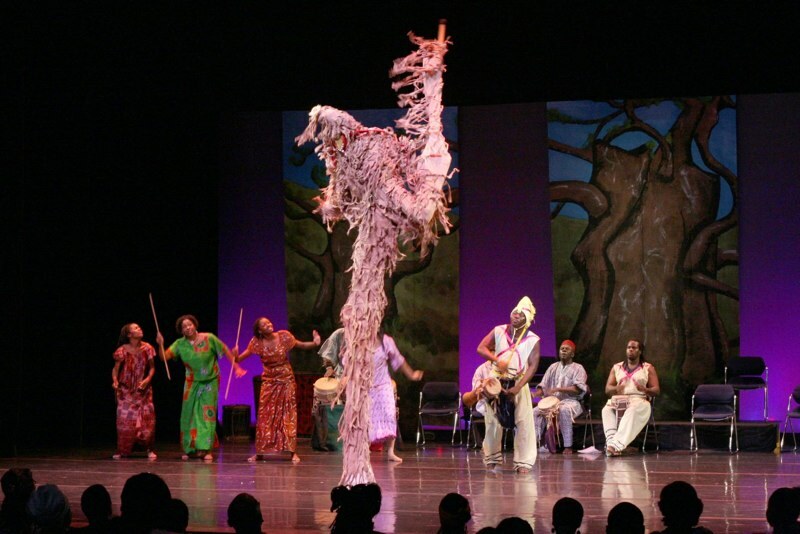 Prior to founding Thiossane, he spent 10 years with the National Ballet du Senegal in West Africa and co-founded the Kankouran West African Dance Company in Washington, D.C.
Bradford-Kounta has worked with the YWCA of Columbus, where she organized a youth African dance program. She frequently travels to Senegal to study dance and music, and she is an adjunct faculty member at The Ohio State University and Antioch College. The final performance in the 2010-2011 Performing Art Series will be 8 p.m. Feb. 12, when Red Priest performs an early music repertoire that ranges from “obscure 17th century sonatas to the most famous works of Bach and Vivaldi,” in Gray Chapel in University Hall, 61 S. Sandusky St. The musicians have been compared to the Rolling Stones, Jackson Pollock, the Marx Brothers, Spike Jones, and the Cirque du Soleil. Ohio Wesleyan University is one of the nation’s premier small, private universities, with more than 90 undergraduate majors, sequences, and courses of study, and 23 Division III varsity sports. Located in Delaware, Ohio, just minutes north of Ohio’s capital and largest city, Columbus, the university combines a globally focused curriculum with off-campus learning and leadership opportunities that translate classroom theory into real-world practice. OWU’s close-knit community of 1,850 students represents 45 states and 52 countries. Ohio Wesleyan earned a 2009 Presidential Award for Excellence in General Community Service, is featured in the book “Colleges That Change Lives,” and is included on the “best colleges” lists of U.S. News & World Report and The Princeton Review..